Jan - 14 | By: Oregon Film | no comments. Unveiling of one of three signs in Astoria marking the beginning of the Historic Oregon Film Trail. The Historic Oregon Film Trail has officially begun! 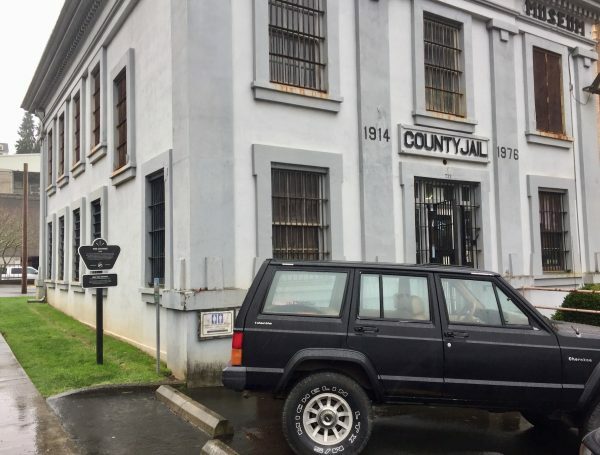 The Astoria-Warrenton Area Chamber of Commerce and the Oregon Film Office developed the initial concept of the Historic Oregon Film Trail (HOFT) and identified Astoria movie locations, in partnership with the Oregon Film Museum, that represent the beginning of the Trail. The Oregon Coast Visitors Association provided additional funding and support for the signs. 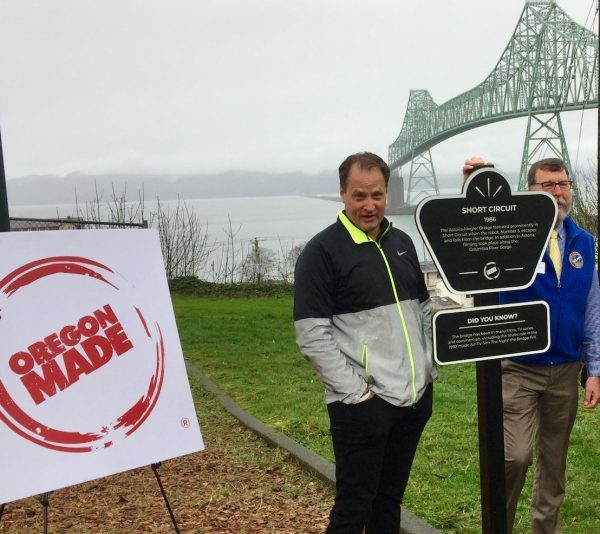 The Historic Oregon Film Trail, has been designed to showcase iconic locations in the state, and the first official group of signs were unveiled at Alameda Park in Astoria. 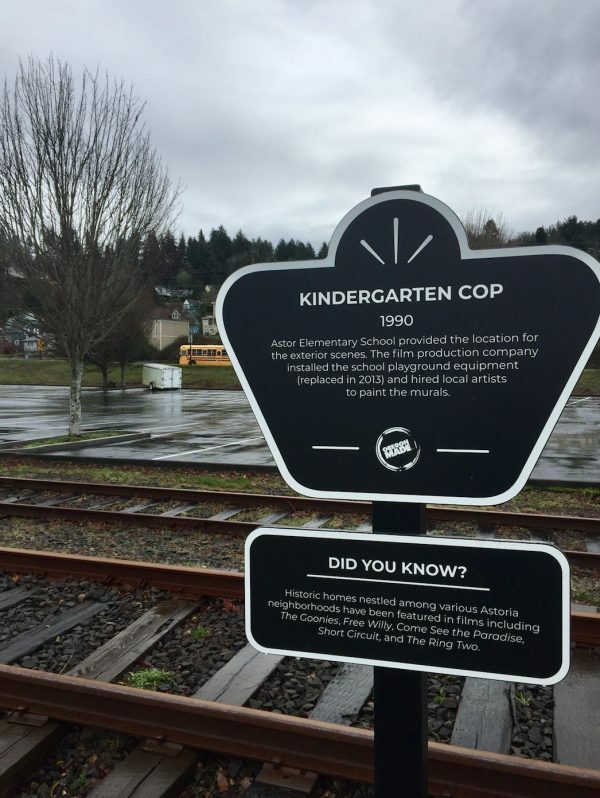 The group of three signs feature facts and anecdotes from the “The Goonies,” “Kindergarten Cop” and “Short Circuit” – all #OregonMade films shot on Oregon’s North Coast. The lesser-known Alameda Park offers a great viewpoint of the Astoria-Megler Bridge and it is the topic of the “Short Circuit” sign located there. The sign for “The Goonies” is located by the Oregon Film Museum and speaks to it and the Flavel House’s roles in that film. One of the Historic Oregon Film Trail signs in Astoria. photo: Regina Wilkie, Astoria-Warrenton Area Chamber of Commerce. call Astoria (800) 875-6807 or visit http://www.oldoregon.com.